Handseller provides you with an interactive tile to add to your existing bookstore website. REFINE category searches by genre and subject. Genres and subjects can be combined for an infinitely customizable result. DISCOVER books with Books Like This Book and Authors Like This Author searches. No other book discovery tool offers both of these features across ALL categories. CUSTOMIZE the user experience. Your customer can quickly see books, new and/or used, that match their individual interests and reading preferences. Automatic daily updates ensure that this feature accurately reflects your changing inventory. 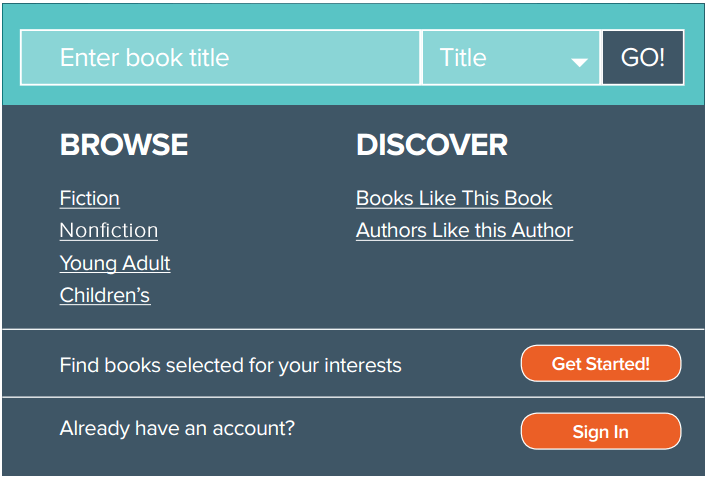 If your site already has the basic search functions, you may opt to offer only the Discover features - Books Like This Book and Authors Like This Author - and/or the Personalization feature that allows a customer to share his or her interests and opt in for special notifications and promotions on those categories, genres, authors, subjects or events they’re most interested in. Prioritizes your staff's reviews and recommendations, offering them at the top of every search. Makes it possible for your on-line customer to browse the books on your shelves and put books ON HOLD at your store – a service that no online-only retailer can offer. Creates the opportunity, within your existing website, for your customers to share their personal reading profiles and interests with you. 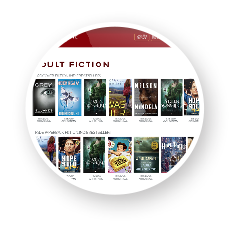 Introduces individual customers to newly published titles, titles new to your store, and books selected specifically for them via the CUSTOMIZE feature. Means that your bookstore is effectively open 24 hours a day, 7 days a week! Now, even after hours, a customer can share “I just finished this great book and I loved it! I want more like it.” and you can respond with great recommendations immediately.